Lucie Huger complements her representation of nonprofit clients with extensive knowledge of the data breach, privacy and security issues that affect businesses of all kinds. Lucie Huger’s experience handling the challenges specific to non-profit clients is valuable to the health care, religious and educational institutions she represents. She advises on issues including corporate formation and governance, tax exemption, lobbying and political activities, and contract negotiations and review. Lucie frequently serves as an outside general counsel to religious and health care organizations, assessing their legal risks and advising on day-to-day issues and the laws and structures unique to non-profits. She has a degree in nursing and draws on her multi-faceted understanding of the health care industry to help those clients navigate difficult situations. Lucie’s practice also focuses on providing counsel on data breaches, including those involving health information privacy and security matters relating to HIPAA, as well as state privacy laws. Her work includes developing compliance programs, providing education, coordinating an organized approach in addressing data breaches and representing clients involved in government investigations. 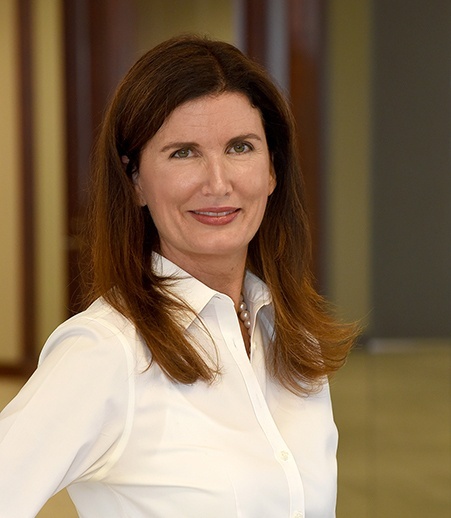 She is a leader of the firm’s efforts to address privacy and security issues for all types of businesses and organizations that collect personally identifiable information, drawing on the knowledge of attorneys in a diverse range of practices. Interview with Lucie Huger, "Table of Experts: Cybersecurity"
Interview with Lucie Huger, "Ransomware Attacks Grow; Most Incidents Are Reportable Breaches"
Profile of Lucie Huger, "Leaders in Technology"
Interview with Lucie Huger, "Community Health Systems announces breach"
"HIPAA, Cyber Awareness & You"
"Your Money or Your PHI: HHS ‘Guidance’ on Ransomware"
"Identifying and Addressing Vulnerabilities in the Security of Data Maintained by Health Care Organizations"
"A Review of Security and Data Breach Issues"
"Don't Be the Breach In Data Management"
"Breach of trust in data management"
"Blocking breaches: We're all in data management business"
"HIPAA's ripple: Act now to avoid being caught in the wake"
"Special Alert for Clients that Sponsor Employee Health Plans Through Anthem"
"Health Care Entities Have New Responsibilities - EMTALA and IDTF Performance Standards"